Weedpatch Camp (also known as the Arvin Federal Government Camp and the Sunset Labor Camp) was built by the Works Progress Administration (WPA) south of Bakersfield, California in 1936 to house migrant workers during the Great Depression. Several historic buildings at the camp were placed on the National Register of Historic Places (NRHP) on January 22, 1996. Weedpatch Camp has its origins in the migrations during the drought that caused the Dust Bowl in the mid-1930s. Oklahoma was especially hard hit by the drought and many of the farmers there left. They migrated to California where they moved from farm to farm looking for work as farm laborers. They were joined by other migrant workers from Texas, Arkansas and Missouri. Housing for the migrants consisted of either squatter camps (tents pitched by the side of a road) or camps established by the farmers and growers. Because of the lack of hygiene and security that these types of camps offered, the FSA built labor camps consisting of permanent buildings with running water such as schools and libraries. The FSA also provided help locating work. The first administrator of Weedpatch Camp was Tom Collins. Between April 1935 and December 1936, the federal government's New Deal Resettlement Administration (RA) had relocated many struggling rural and urban families to planned communities. Weedpatch Camp, however, was constructed by the Works Progress Administration. It was located on the outskirts of the small towns of Arvin and Weedpatch. The camp now is located in an unincorporated area of Kern County just south of Bakersfield. The Library (left) and Post Office (right) buildings were moved and their exteriors restored. The camp originally consisted of canvas tents on plywood platforms for the residents and permanent buildings to house the community functions such as administration, community hall, post office, library and barber shop. Later, the residents' tents were replaced by permanent wood frame shacks. The buildings are single story wood frame structures. There are three buildings remaining from the camp that make up this National Register of Historic Places property: the community hall, the post office, and the library. The latter two buildings were moved next to the community hall to form the beginnings of a historic park on the property. In 2007, the exteriors of the library and post office buildings were renovated. The Weedpatch Camp continues to assist and house migrant workers. The camp is significant in the history of California for the migration of people escaping the Dust Bowl. These migrants were known by the derogatory term of Okie and were the subject of discrimination from the local population. The plight of the Okies and a description of Weedpatch Camp were chronicled by novelist John Steinbeck in his book The Grapes of Wrath. The book is dedicated to camp administrator Collins. 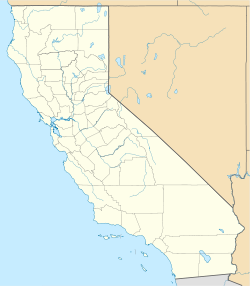 The camp was subsequently taken over by the Kern County Housing Authority who administers it as the Sunset Labor Camp to assist migrant farm workers. ^ Restoration, Weedpatch Camp, Accessed October 13, 2009. Lutz, Margaret P. Weedpatch Camp, National Register of Historic Places Registration Form. Washington, DC: Department of the Interior, National Park Service, 1995. On file at the National Park Service and at the California Office of Historic Preservation. This page was last edited on 8 May 2018, at 23:15 (UTC).